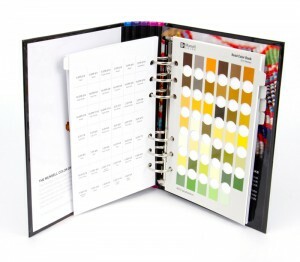 Munsell Color System; Color Matching from Munsell Color Company > Munsell FAQs > How Often Should a Color Chart Be Replaced? How Often Should a Color Chart Be Replaced? When using the color charts for industry standards, quality control, or quality system devices, they should be replaced every two years. For general use, it is recommended to replace them every 2-4 years. Remember that exposure to sunlight and heat are going to have the greatest impact on the longevity of your color charts, so make sure you properly store charts and books to maximize their lastingness.